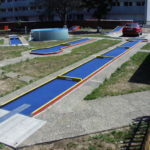 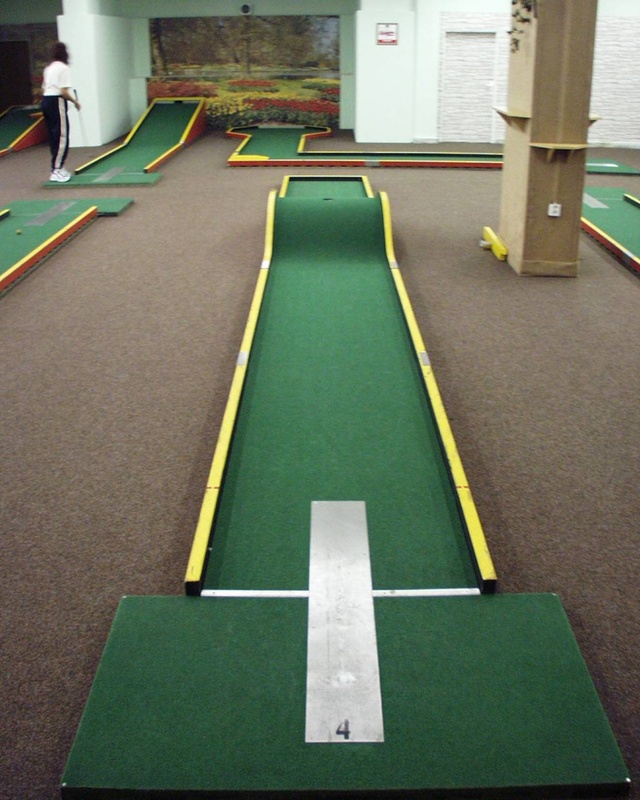 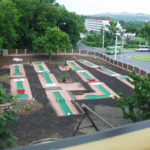 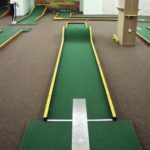 Since 2001, we have been offering a competitive minigolf course called GREENGOLF. 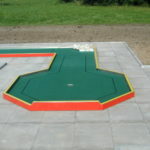 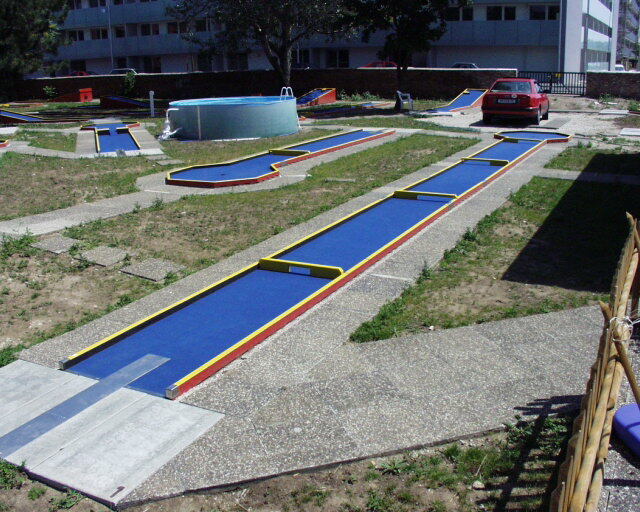 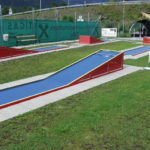 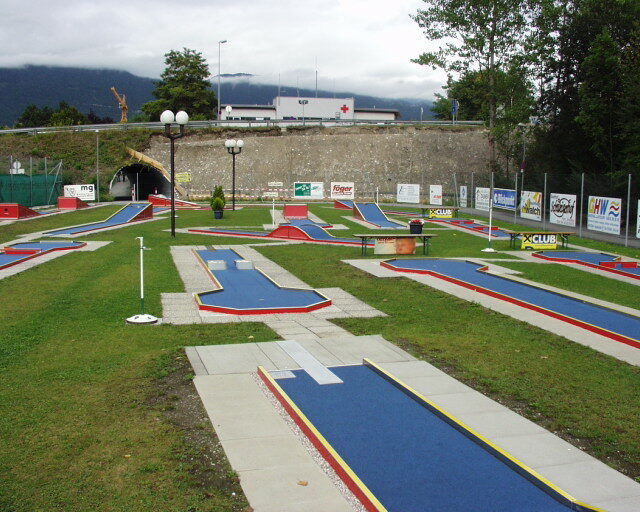 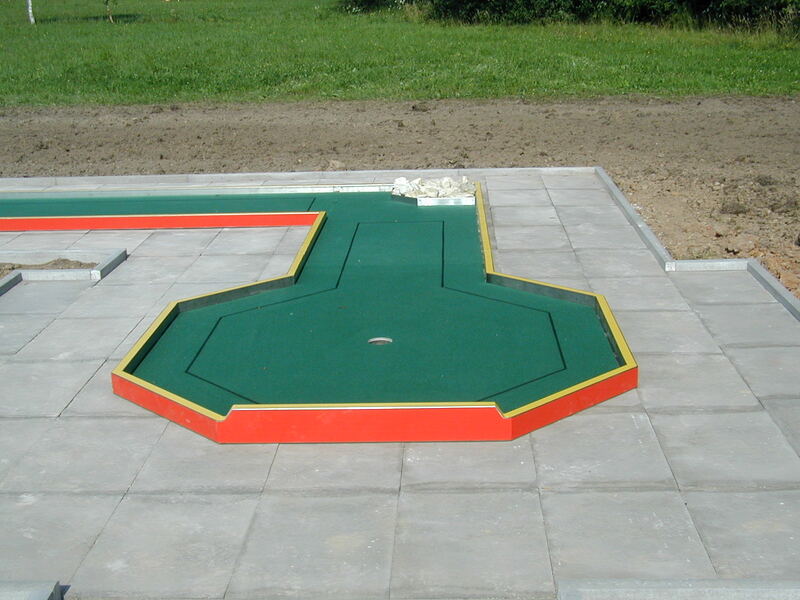 This type of minigolf course is enjoyed mainly in Scandinavian countries, where it is very popular. 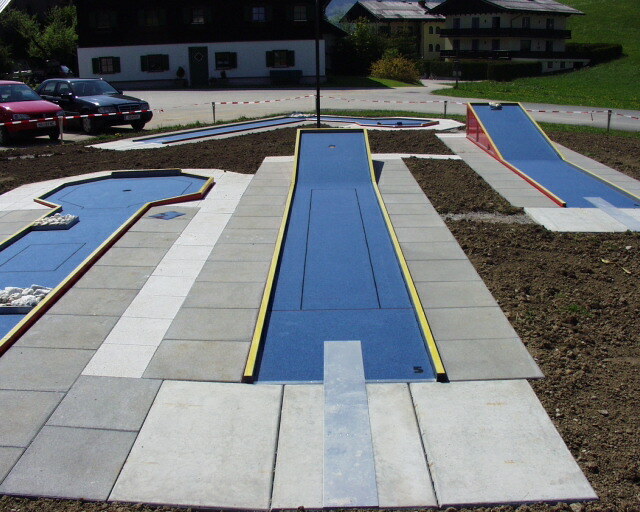 For installation in Central Europe, we replaced all wooden parts with stainless steel elements that mainly reduce cost for maintenance of this course. 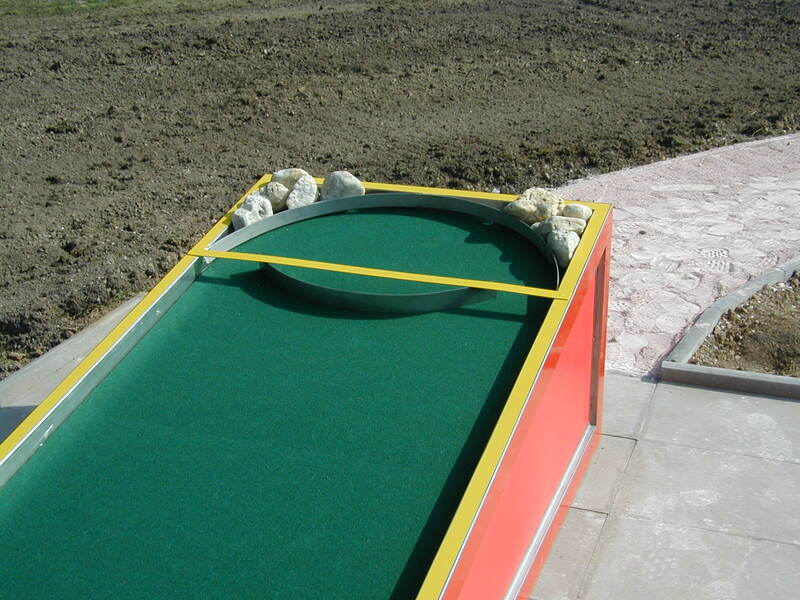 Cement plates or preferably better aluminium plates coated with specially-treated carpet for outdoor use in blue or green colour are mounted to a stainless steel construction. 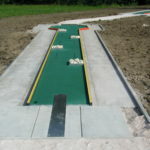 Wooden version is offered only for indoor use at present. 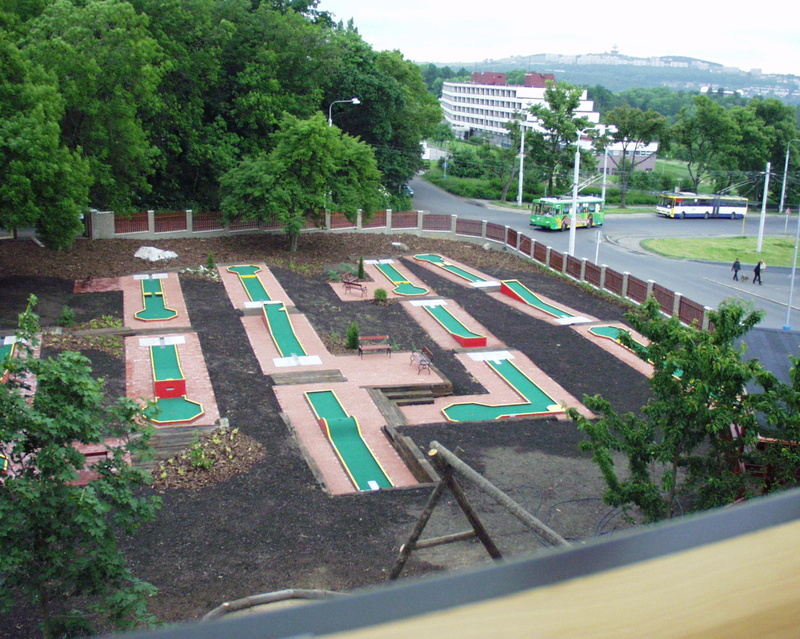 The course is produced in accordance with WMF and ČMGS standards and is delivered with WMF certificate. 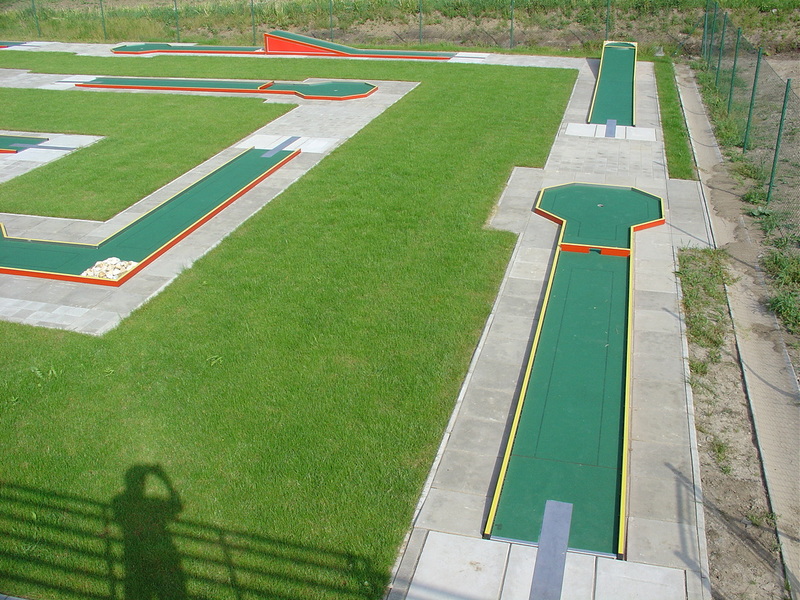 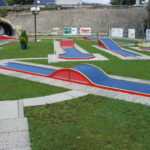 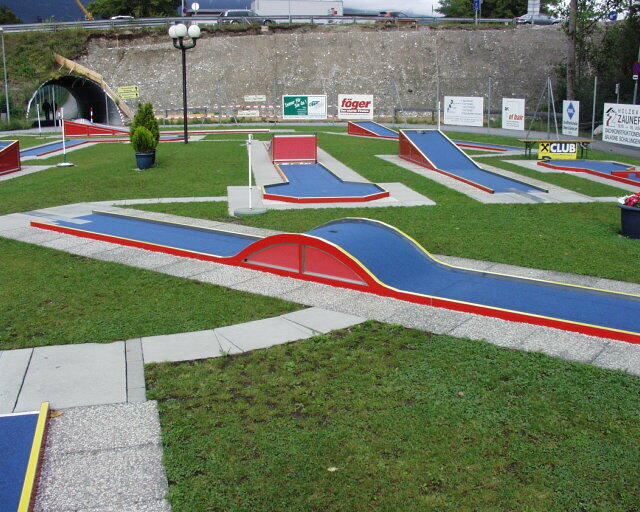 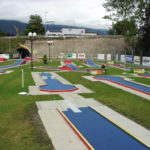 Our offer includes 25 tracks, from which a minigolf course with 18 holes is assembled. 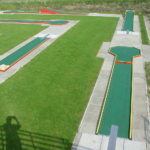 Length of tracks varies according to standards, from 7 to 18 metres, width is 0.9 metres and diameter of target area is 1.80 metres. 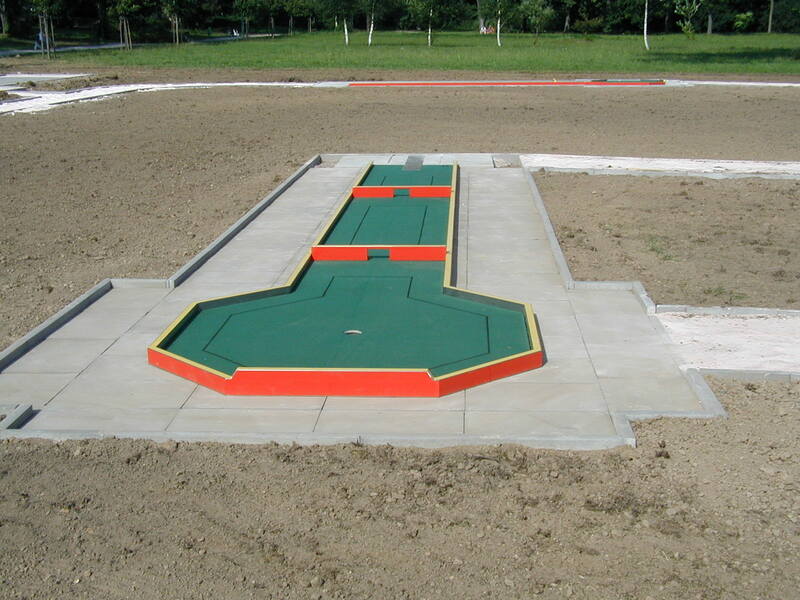 Recommended area for installation is approximately 1000 m2. 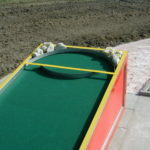 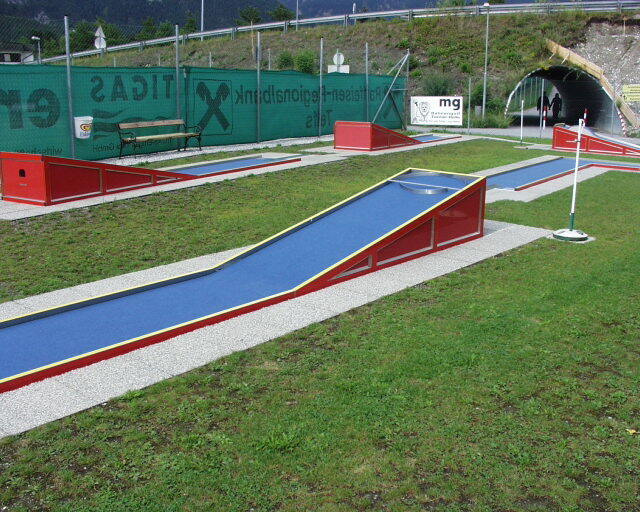 An alternative to delivery of domestic version of this type of course is the minigolf course GREENGOLF from Sweden. 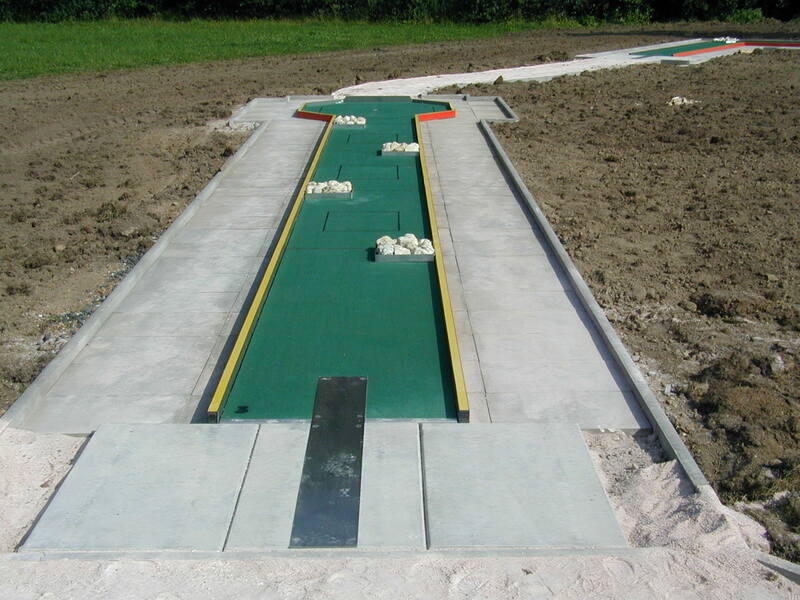 Concrete panels settled in wooden frames and layered with green carpet are main features of this type of course. 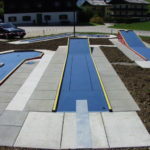 It is delivered in accordance with WMF and ČMGS standards, along with WMF certificate.